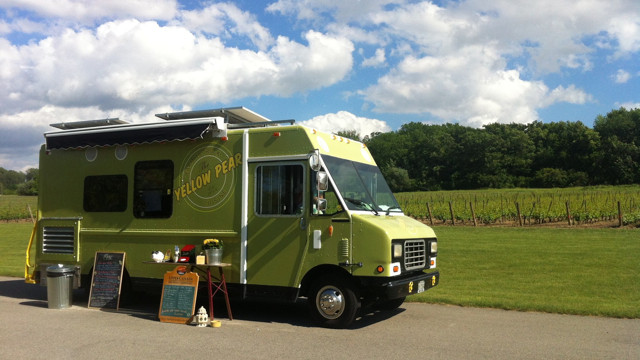 Ontario's first solar powered gourmet food truck! Showcasing local farmers and producers. We specialize in catering and weddings. Sorry, we don't know when The Yellow Pear will be open next. We last saw them on July 28, 2016 at Merritt Island Supper Market. Check back soon — as soon as they post their schedule it will show up on this page. Do you own The Yellow Pear? Sign in to post your schedule.